It's a Red Carpet Monday at AquaKnox Restaurant! It&apos;s a Red Carpet Monday at AquaKnox Restaurant! Hello gang, Jerm here with a Tampa Bay nightlife update for you! 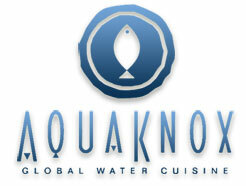 This coming Monday our friends over at the AquaKnox Restaurant, will host an exclusive Red Carpet Monday event! Now for those of you that aren&apos;t in the know, this Red Carpet Monday event will be a chance for you to meet and mingle with Tampa&apos;s most successful business owners, professionals and entrepreneurs at Aquaknox, located in the Westin Tampa Bay. The event will feature the city&apos;s most influential individuals, a fashion exhibit, a silent auction, appetizers, celebrity guests and other surprises. Jerm should be there as well gettin his mingle on and having a drink or two, or three...etc. One featured member who I am sure will be there is Tampa Bay&apos;s own Aakash Patel! Aakash Patel is the Public Relations Coordinator for the Westin Tampa Bay and AquaKnox restaurant. Aakash is in my opinion the most connected guy in America! I marvel when I have the chance to watch this guy work, and he is one of the most knowledgeable people I have had the opportunity to meet in my time here in the Bay area. Be sure to make it out this Monday though and get your network on, and maybe Aakash will even buy you a drink! Okay just joking about that one, as he won&apos;t buy you a drink, but be sure to say hi if you see him. If you haven&apos;t had the chance to sample the fine cuisine at AquaKnox, then this is your chance, as this place is Tampa Bay dining at its best, as I can attest when I had lunch over there a few months ago. The festivities kick off at 7pm so I had better see a ton of you there! Until then guys, take care and be sure to check back for more things to do in Tampa Bay!